The late twentieth century saw an explosion of interest in semiotics, the science of the signs and processes by which we communicate. In this study, the first of its kind in English, Keir Elam shows how this new 'science' can provide a radical shift in our understanding of theatrical performance, one of our richest and most complex forms of communication. 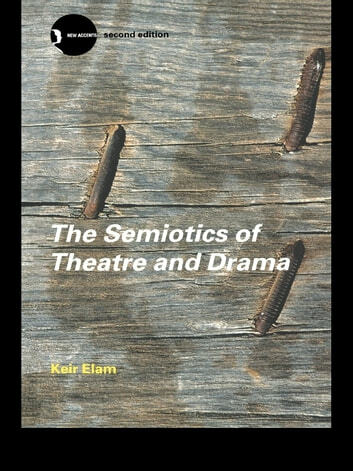 Elam traces the history of semiotic approaches to performance, from 1930s Prague onwards, and presents a model of theatrical communication. In the course of his study, he touches upon the 'logic' of the drama and the analysis of dramatic discourse. This edition also includes a new post-script by the author, looking at the fate of theatre semiotics since the publication of this book, and a fully updated bibliography. Much praised for its accessibility, The Semiotics of Theatre and Drama remains a 'must-read' text for all those interested in the analysis of theatrical performance.